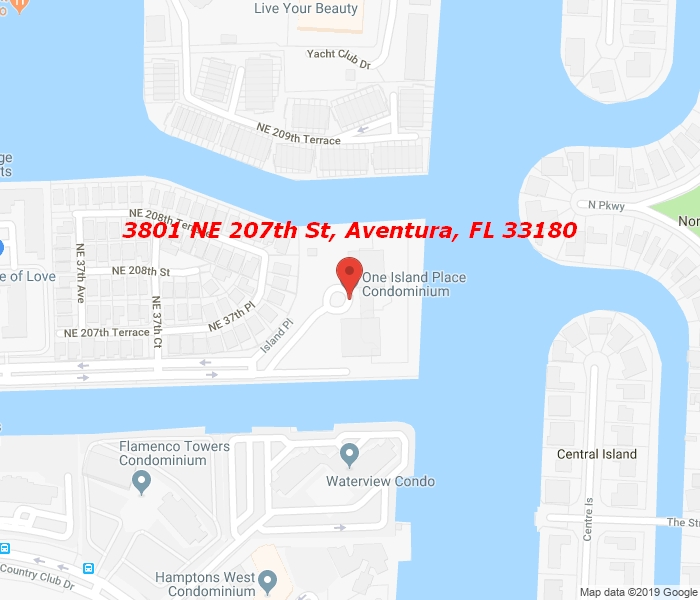 Best Waterfront deal in Aventura! Extensively remodeled Two-Story townhouse at One Island Place with magnificent water views. This home features a contemporary style with fine finishes. The interior architecture has been crafted with meticulous details, including shiny porcelain floors, custom wood doors, and modern light fixtures. This spacious 3 bedroom townhouse has an additional living/family area which can be used as a 4th bedroom. The unit has a bright kitchen with a breakfast area, facing the water, a large waterfront terrace and a patio overlooking the garden. Enjoy the luxury and comfort of living in a home with the amenities of a condo! Amenities include 2 swimming pools, a snack bar on the weekends, 2 tennis courts & new spa/gym. Walk to Shops, restaurants and houses of worship.